POOLEworks : Roger Poole at work at all hours. Hi! My name is Roger Poole and I do design and code for websites. 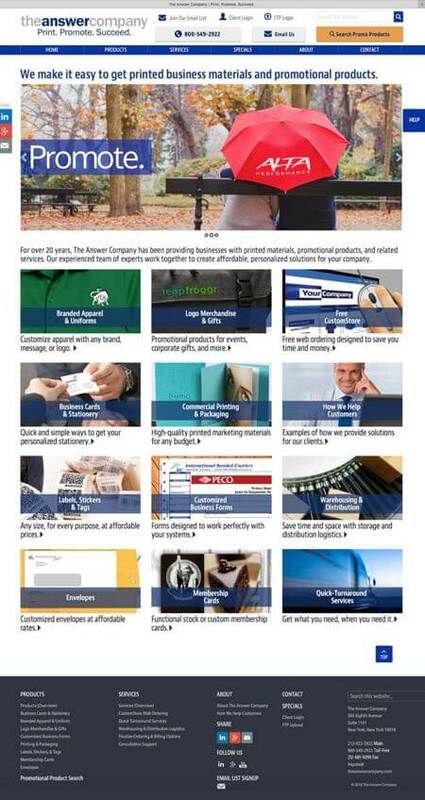 My experience makes me uniquely qualified to help you to make your website an effective marketing tool. My primary focus when I do your site will be to make it SEO friendly. I make responsive websites. And I know how to go the extra mile to make your site accessibility friendly if necessary. And while my experience does qualify me to design your logo or other collateral, that’s not my current focus. I’d rather design your website. If you have a designer on hand, I’ll gladly work with them to keep your site within your “brand.” I code CSS. I code HTML, and if I work on your site today, it will be done to the most current HTML5 standards. I pride myself with my sites validating as error free. For even more fun, check this website grader link. I work with PHP and mySQL. I work with jQuery. My biggest advantage over your using a full time “coder” is I can tell what looks right and what doesn’t. I am more comfortable in PhotoShop or Illustrator than you might ever be. And more versed in effective legible web typography than a print designer will ever be. And if your coding problem is really complex, I will gladly help guide you to the right resource. If it is a CMS you are looking for, I’m capable of creating a wordpress site theme, and supporting your endeavor. From the wordpress install, to the theme creation, to the maintenance, all very do-able. BlueVault rents safety deposit boxes and vault storage units in an ultra-secure private vault. 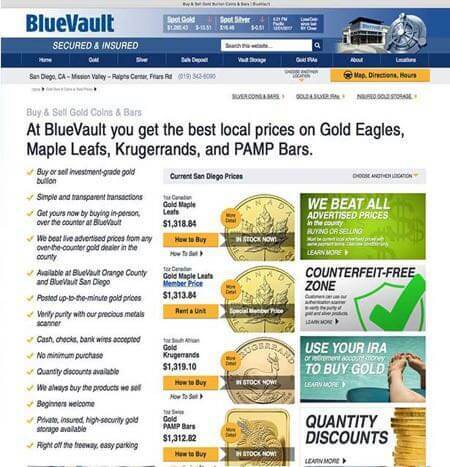 More importantly, BlueVault also sells precious metals to individuals for personal investments. 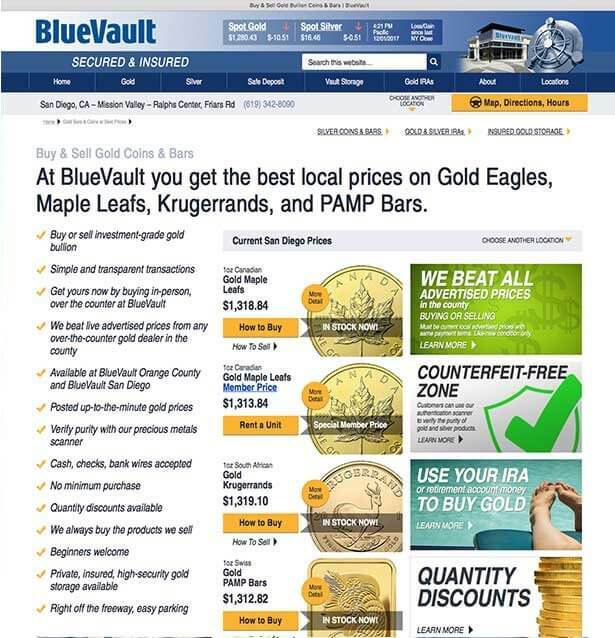 This website manages to download the current price of gold and silver and process this information to feed the in-store displays, the POS systems and keep the webpage pricing up to date. Silvon is a very strong competitor in the very competitive field of Business Intelligence. 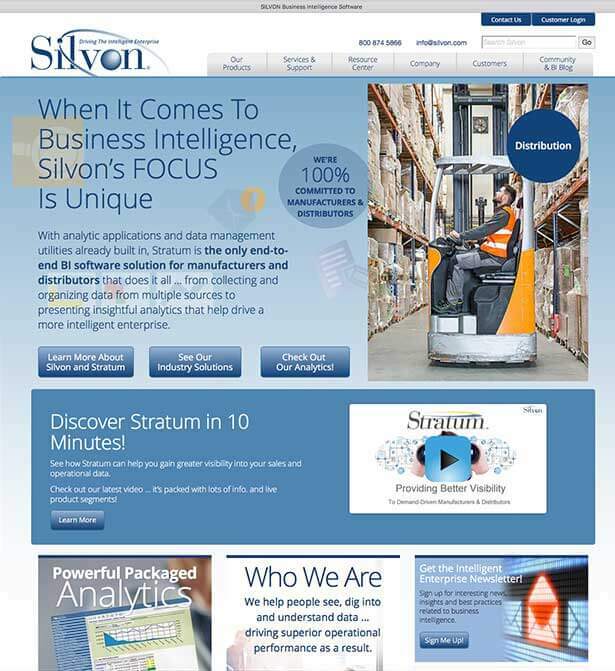 I’ve worked with Silvon for over 20 years handling everything from designing and coding the site, refining the site’s SEO, to the Stratum™ application buttons & icons, and creating artwork for PowerPoint presentations. A growing bank in SE Pennsylvania with 16 branches. 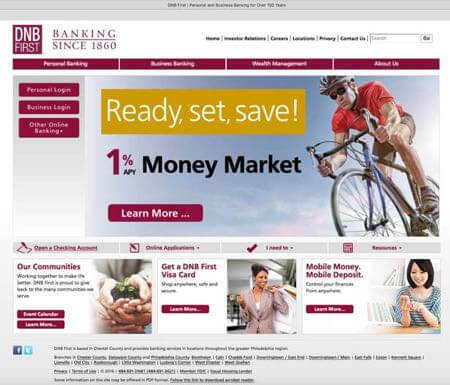 This site gets frequent updates as products change to meet the changing competitive banking market. I’ve worked extensively with Philly Marketing Labs to focus the site’s SEO. This completely responsive site has a great deal of information available for potential customers in the very competitive NY printing area. I’ve done internet / interactive work since 1997. There’s a lot of stuff I’ve seen in those years. Browser wars mostly. WebTV was in vogue. (Oddly enough, it sounds like WebTV might come back.) Way back before that, I did a lot of print work. If you come to me from the print world, I can tell you I’ve done print design for many major companies such as Field & Stream, Remington Firearms or DuPont since 1977, so I’ll understand your intentions from the get-go and will help guide you to producing your project properly for the web. And no, I don’t want to do print collateral anymore. I’ve managed email blasts for many clients over many years. This field has changed many times in the last 15 years as Microsoft has complicated the picture with their different rendering engines, and now, it is even more complicated as more than 50% of your emails are opened on mobile phones and need responsive coding. I know my way around coding the complicated css required to put a graphically interesting email together. I’m very experienced in list management and understanding the various server responses. That all said, while I’m helping you email the world, I can wholeheartedly recommend the spam blocker services of MXGuardDog for your spam management needs. I’ve joined about every social media site out there. Got a social media problem? I might be able to help. I’m no fool, this is a business. So, you need to pay me for something? I do take credit cards at PayPal. Tap the PayPal icon to open a new PayPal window. © 2019 POOLEworks. All rights reserved.